Volunteers at the museum help school children explore Long Island’s cultural heritage through guided discovery, hands-on activities and role-playing. No teaching experience is necessary but a love for children goes a long way in contributing to the cultural enrichment of today’s youth. Other volunteer opportunities are available in our development department, helping out with annual events and fundraisers throughout the year. 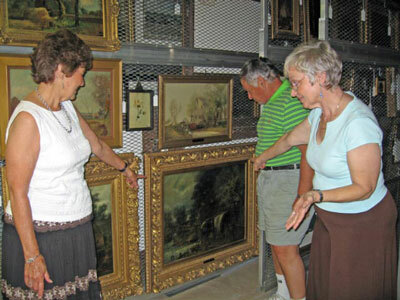 Volunteers are even called upon occasionally to help in the archiving and organization of our collections. If you’d like to put your own eye for art and education to work, call our Human Resources Department at (631) 751-0066 x244 or email us at mail -at- longislandmuseum -dot- org.